Do You Travel to Turkey Hunt? Steve Hickoff gives his tips for taking an out-of-state turkey trip on a budget. Turkey hunting out of state is on your mind, but the cost is keeping you grounded. You’ve hunted in your home turkey state, but you still have gas in the tank. Yep, this is a flat-out addiction. How can you do more and afford it, too? How much cash will you need to do it? Got a thousand bucks to burn? Good. You might not even need four figures. You have the gear already, so only your travel and hunt expenses need to be covered. Let’s try to pull this plan together. You have to study up before you make an out-of-state move. Cost: Your internet provider’s rate. When Can You Hunt? Study out-of-state license dates and permit application deadlines. Sure you know your own state pretty well, but what about neighboring action? Scour state agency online sites. Getting serious? Print out a folder of materials to resource — laws, phone numbers, registration stations, etc. — to carry along. What Does It Look Like? To hunt out-of-state, you have to know the land. Study aerial photos, state public land, and wildlife management area maps and topographical images, even crudely hashed-out access maps emailed from a knowing contact showing roosts and strut zones. How Far Is It? Your home state borders at least one if not several states. Measure road trip distances to the nearest border right now. Now, check out the closest public land holding turkeys. You’ll have to drive there, then scout, then hunt. Hunt these border locations several times in a season. It might pay off big-time. Your major expenses will include gas, lodging, license and permit fees, and whatever fills your cooler. Got a long road trip in mind? You and a hunting buddy can take turns driving. Want to fly there? Subscribe to airline discount notices and go by air. Who Knows About It? State biologists and management officials can point you to public lands, places that might get some pressure but not all season long. Some states require phone-in or in-person turkey registration and make this information available to the public. Get it. Learn it. Some list counties of turkey kills; others even note the town. 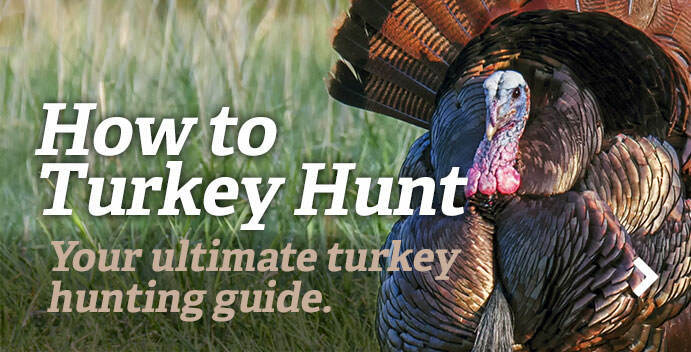 Figure out bigger areas with good turkey populations. Why Should You Hunt It? One-and-done turkey hunting states are fine if you want to get back to your bass fishing. That’s cool. But killing one gobbler won’t satisfy the hard-core hunter. Fishing can wait until summer. You want more action . . . and at an affordable price. OK, you’ve done your homework. Now how do you get access? There’s more than one way to get on the land holding out-of-state gobblers. Cost: Free - $1,000. Public Land. Your first and most obvious option: public land. You called those state officials, right? Some places might be as big as designated counties or as small as state parks. In spring, you might encounter multiple-users — bikers, hikers, birders, mushroom hunters, etc. — so plan for this. Find remote public land with gobblers. A long walk or even a bicycle ride in, and you could hunt alone. Landowner Permission. It’s a gamble, sure. Posters lock up the land. A knock on a farmhouse door might get you on it . . . or not. Try enough places, and the odds are in your favor of scoring permission. Be polite. Explain who you are and how you’ll hunt the property. Got a local contact? Bring them with you. Self-Guided. Make an offer. Some hunting operations have limited guiding options. This person might just be a local guy from town who knows and has access to the spot. Name a price to stay there, but hunt on your own. Explain your background. Work a deal at less cost than the stated price. Call motels in turkey country. Do they own land nearby? Does it hold gobblers? Can you hunt it? Fully-Guided. At times, the cheapest way to hunt might be buying one. Some big-game outfitters include spring turkey in the mix, often at reduced negotiable rates. Bring some buddies along, and the cost might work out for both sides. Can’t afford a $1,000-plus rate? Propose a “buddy hunt” price. Swap Hunts. Share your spots. You live in Osceola country. You make a contact from Rio Grande land. Offer to host each other. You’d have lodging and maybe even food covered. The only cost: license/permit fees and travel. Where Birds Roost. Turkeys around the country favor protective cover where they can loaf at night, then fly down in the morning and move to feeding/strutting zones. Find water, as birds often roost on branches above it: rivers, streams, creeks, ponds, and even lakeside locations. Listen hard in the false dawn as turkeys wake up. When you hear gobbling, move in fast to pinpoint it, but do it silently. Where Turkeys Walk. These big birds make a mess of the woods and fields. Study the ground. Find fresh droppings, scratching, a strutter’s wing-drag marks on sand and dirt roads, muddy tracks, feathers . . . whatever fresh (and even old) evidence you can to decode the mystery of turkey movement. Where Gobblers Strut. You’re piecing it together now. You’ve found the roost, nailed fresh sign on the ground, and need to lock down the strut zone. Look for open areas —fields, pastures, hollows, ridge tops, etc. — to guess and confirm where turkeys will spend the day. Chances are it has a food source that hens will target and nesting cover nearby (for raising broods later). You can sleep in the back of your truck, the least costly lodging of all. Is it legal on public lands or near highways? Not always. Check your regulations. Low-budget motels in turkey country might welcome your in-season business during their “off-season” time. Since many see income jump between Memorial Day and Labor Day, you might be able to work a deal to get the owners to open up early for you. They might offer a discounted rate, especially if you and a number of buddies are hunting out of their place. Got an old college roommate who doesn’t hunt or a distant relative in the area? Maybe they’ll let you crash on their basement man cave couch for a couple of days. For our low-budget purposes, we’ll briefly cover four stateside subspecies here. South of the border, Mexican, once-in-a-lifetime dream hunts for Gould’s and Ocellated turkeys often exceed $1,000. Gould’s management is expanding to southeastern Arizona and southwestern New Mexico. Keep an eye on this option in future years. Easterns: The most widely available subspecies roosts in the eastern half of the United States, and even Western locations from trap-and-transfer management efforts. If you just want more gobblers and aren’t working on your Slam, schedule road trips to nearby Eastern turkey states. Hot Spot: Hunt a few of the six New England states (Maine, New Hampshire, Vermont, Massachusetts, Connecticut, and Rhode Island), which sit in close proximity. Fly in cheap, hunt with low-budget lodging/eats, and you’ll still manage $1,000 in costs. Merriam’s: You’re looking at Arizona, New Mexico, Colorado, Wyoming, South Dakota, Montana, and Idaho state options here, with smatterings of white-tipped fans in Washington, northeastern California, and even south-central Utah. Hot Spot: Hunt western South Dakota. Fly into Rapid City. Chase wide-open Badlands prairie gobblers and/or Black Hills turkeys. Public land and Indian reservation options await your research and budget crunching. Rio Grande: Hunt Rios in Texas, western Oklahoma, and Kansas, but also in trap-and-transfer states such as California, Oregon, Washington, and even Hawaii. The latter might push your $1,000 hunter’s budget, but make it a family vacation and write it off as a necessary expense. Hot Spot: The Lone Star State is your best bet, but it might be pricey. Western Oklahoma has Rios and plenty of land. Call some motels. Ask around. Do they know somebody with land and big flocks of those pesky, varmint turkeys? Hybrids: Nebraska dominates the hybrid wild turkey scene where your gobbler might show Eastern, Merriam’s, or Rio characteristics. A gobbler is a gobbler, right? Hot Spot: Roughly 75 percent of Nebraska, just a short drive from Midwest borders, holds hybrid wild turkeys. You’ll find Merriam’s in the northwestern corner. Osceola: This one will hammer your wallet the hardest. Then again, some Florida hunters who have steady access to them might want to swap a hunt for your subspecies. Hunting forum friendships sometimes present this possibility, as does making contacts at outdoor shows. Hot Spot: Live in the southeast? Florida public land hunts, though limited, shouldn’t break your budget. “I saw you drive by a bunch of times,” the Vermont farmer smirked, “so I figured you wanted something.” I did want something: A chance at the flock of turkeys behind his keep-out posters. I parked where he said to, walked past his cattle in the dark. By mid-morning the flock had returned: A strutter, several subordinate gobblers, and some hens. I whacked the dominant turkey, then I swung and killed one of the other gobblers, too (legal in the Green Mountain State). I’ve hunted other states on the road and killed turkeys this way, as well. It’s not always as easy, of course. On the road once in New York, I knocked on a farmhouse door after eyeing a distant turkey flock and the absence of posters. “Just because I don’t post on my land doesn’t mean you can hunt it,” the guy said with no apology. I forced a smile, thanked him for his time and drove down the road to knock on another door, then another, with success. The next day I filled a tag. Priceless.